WELCOME BACK. Joshua in the scripture says, “….. choose for yourselves this day whom you will serve, whether the gods your fathers served in the region beyond the River, or the gods of the Amorites in whose land you dwell…” Your decision decide your accomplishment. Being decisive is a key for outstanding in life. If you deny yourself commitment, what will you do with your life? Everything you get right in life, start with a decision. Your choice not your chance determine your destiny. Nothing great was done without an act of decision. A lot of people go through live not knowing what they want but feeling sure that they don’t have it. Apolo Ohno said: “It’s about having an active lifestyle, staying healthy, and making the right decisions. Life is about balance. Not everybody wants to run a marathon, but we could all start working out and being active, whether you walk to work or take an extra flight of stairs”. I discovered that so many people in the world are like wheelbarrows that need to be push. You’re either moving other people to their destiny or they are moving you. Remember, any moment you are with somebody either you’re making a deposit to him or you’re making a withdrawal from him. Make a decision to be with those that make things happen. 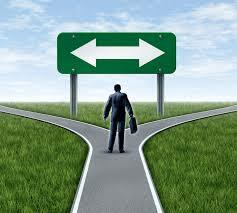 The decision is yours, because the moment you commit yourself to decision making, God move as well. Lack of decisiveness has caused more failure than lack of intelligent or capacity. Indecision can cripple any chances of succeeding and lead to maelstroms of regret that fuel our most fantastic nightmares. Be courageous enough to keep moving when it is a must and there to keep waiting when you have to. Making the right decision is a key in getting things done as fast as possible. You need to determine when to decide. Joshua and his family make the right decision of their life by chosen to serve the living God, instead of following the gods of the Amorites in the land in which they dwell. Where you decide to stay determine your welfare. Make a decision today never to leave in regret because of what you choose to become in life. This entry was posted in success and tagged Dream, Fulfillment, Growth, Habit, Imagination, improvement, Increase, Insight, Journey, knowledge, Life Changing, motivation, Passion, Persistence, Personal, Possibility, Principles, Spiritual, success, Successful, Talent, Understanding, Vision, Wisdom. Thanks for the good job, God bless you.